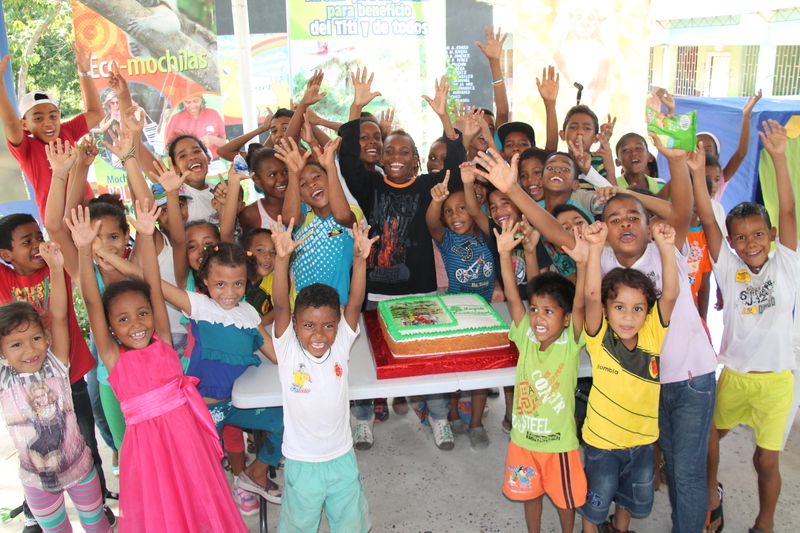 Join us as we recap the special events on this important conservation holiday! 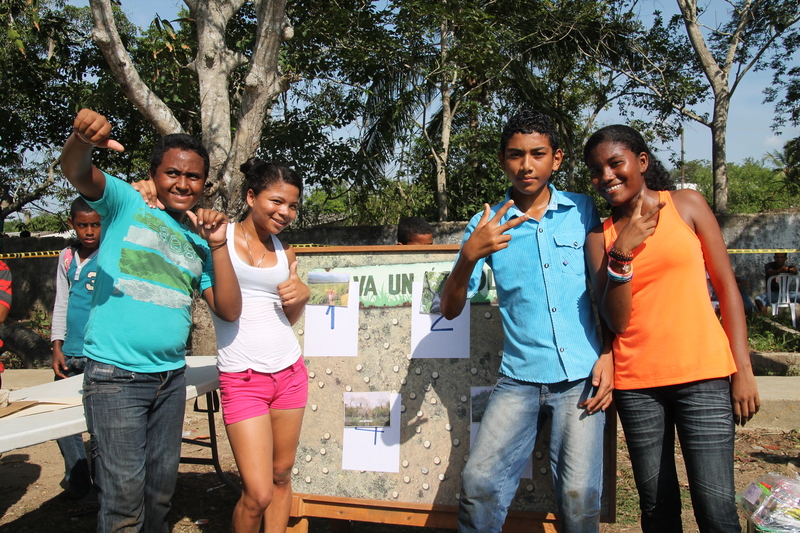 4:00 a.m. – The day started very early for all of us at Proyecto Tití. We left Barranquilla sipping on a cup of hot Colombian coffee (the best!). 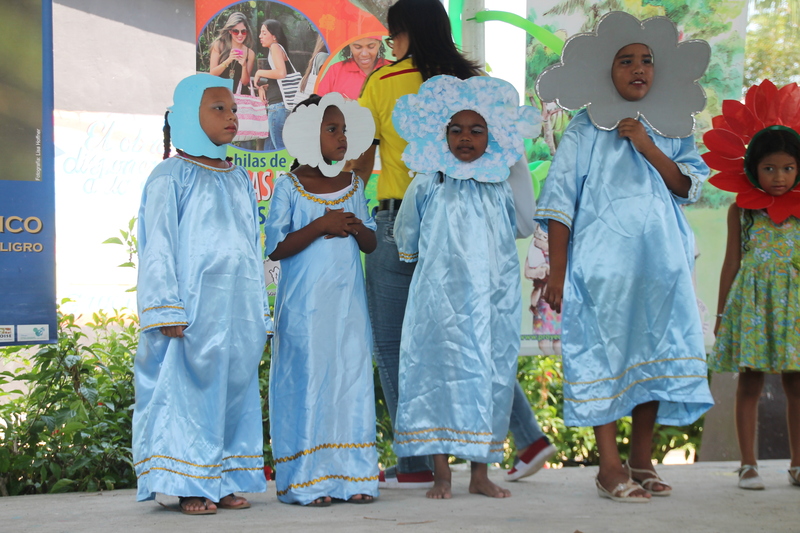 Our destination was Santa Catalina, the generous community hosting the 8th Day of the Cotton-top Tamarin Celebration! 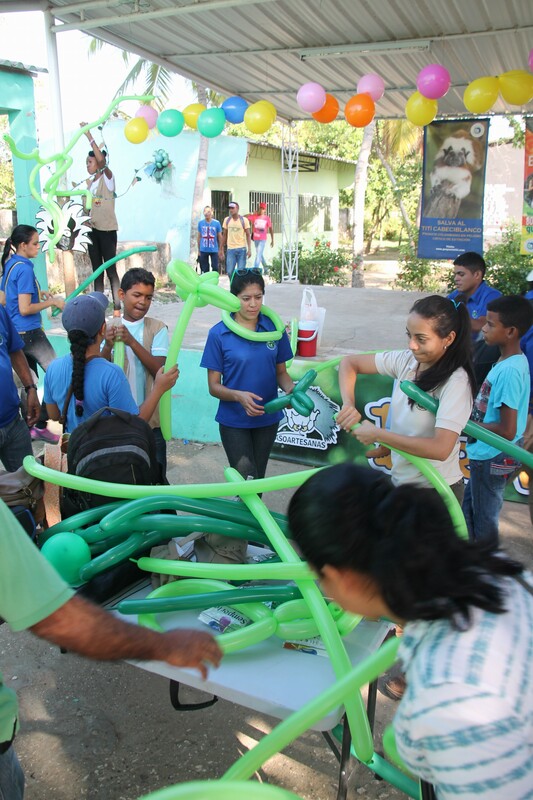 7:00 a.m. – When we arrived in Santa Catalina, the Proyecto Tití staff spread out like an army of little ants. The team worked together quickly to coordinate the final touches for what turned out to be such an amazing day! 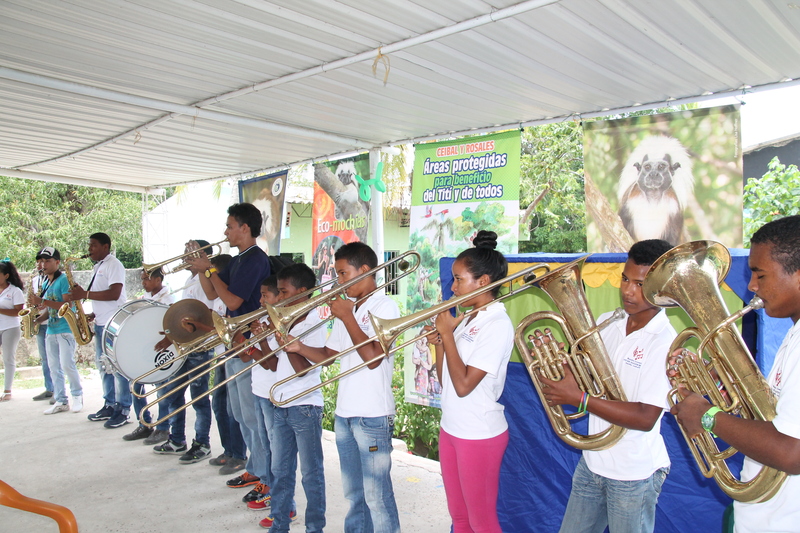 9:00 a.m. – To kick off the Day of the Cotton-Top Tamarin we sang Colombia’s national anthem and welcomed our friends and partners of the local communities. We also announced two new protected areas for cotton-tops, Ceibal and Rosales. 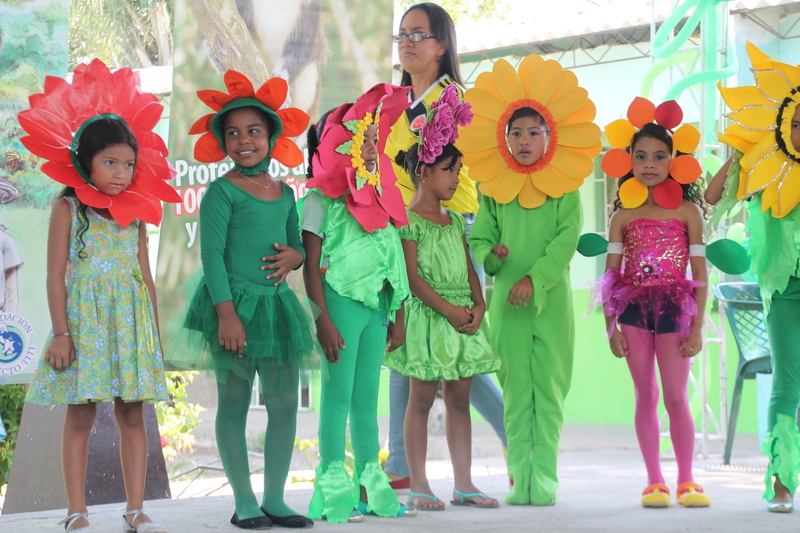 9:30 a.m. – Santa Catalina students started the show with a lively musical about making a difference in our natural world. 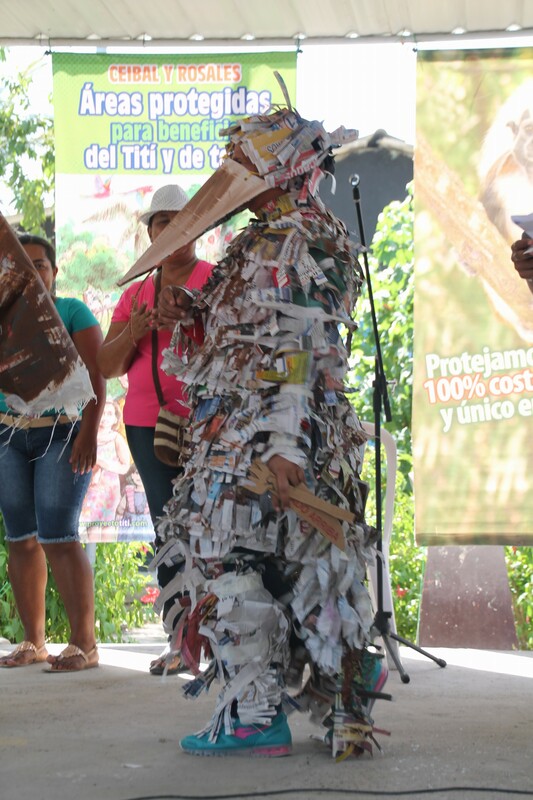 They encouraged us all to recycle, pick up trash and keep our rivers and forests clean for cotton-tops and humans! 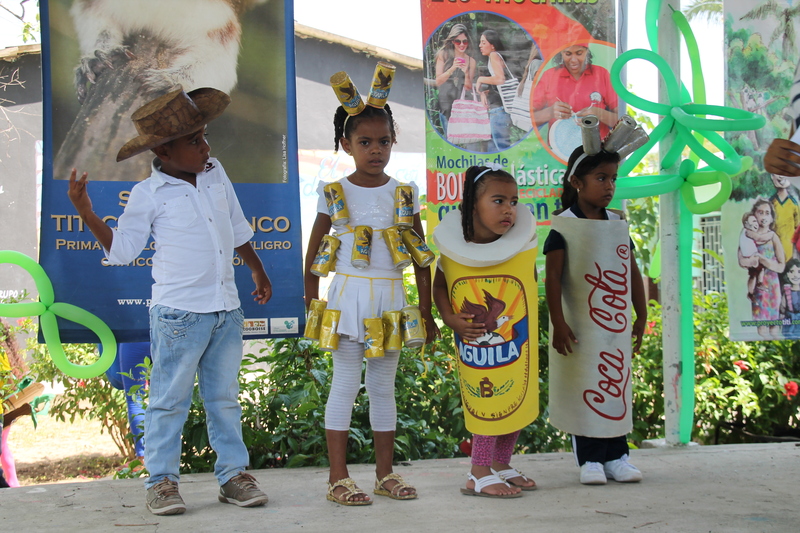 10:00 a.m. – The morning festivities stayed vibrant and exciting with one of our favorites, the recycled costume contest. The kids are so creative and resourceful! 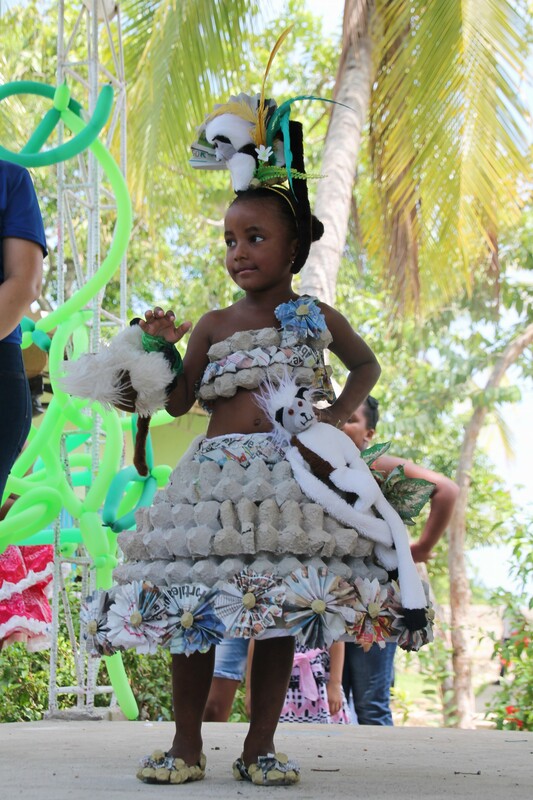 María Fernanda Contrera won first prize for her wonderful dress made out of egg cartons and newspaper. 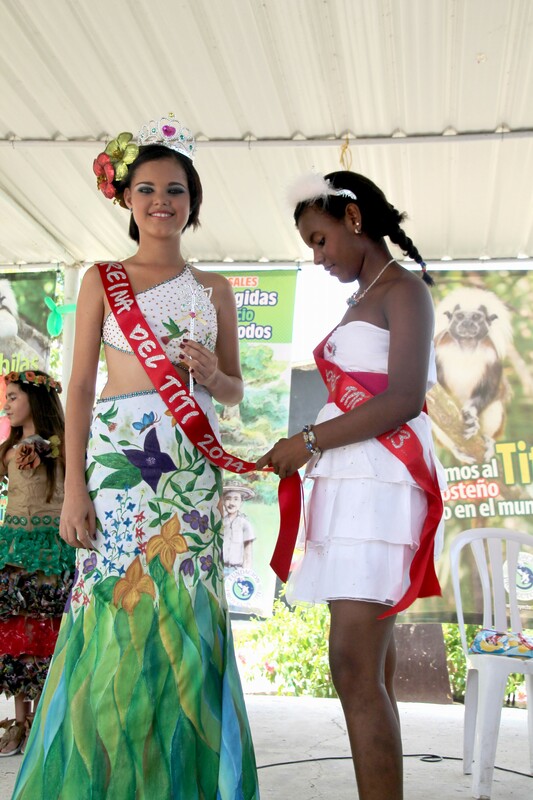 11:00 a.m. – The Queen of the Cotton-top Tamarin contest is a favorite among the teenagers. They look forward to it every year! Angie Marsiglia dazzled the audience with her beautiful smile, colorful dress, and impressive monologue. Angie convinced judges she would be the best community ambassador for cotton-top conservation and was crowned our 2014-2015 queen. 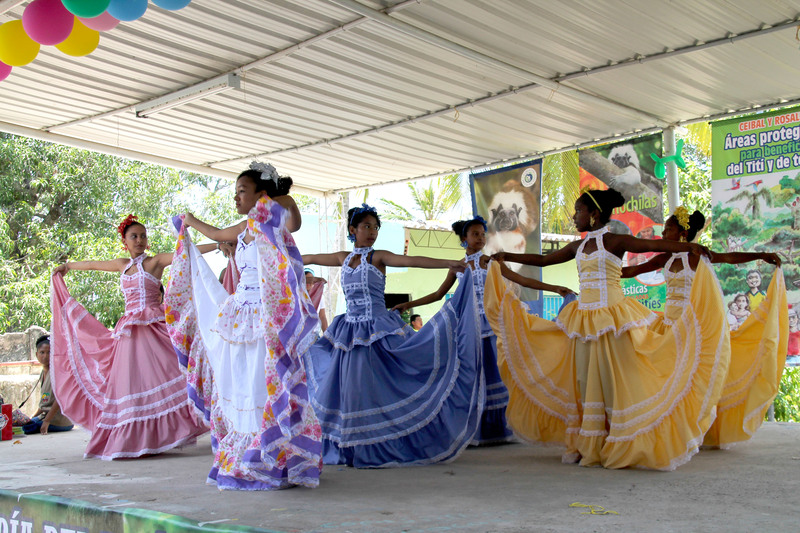 Dance, folklore, live music, puppet shows, great food and a very tasty cake, kept us entertained throughout the day! 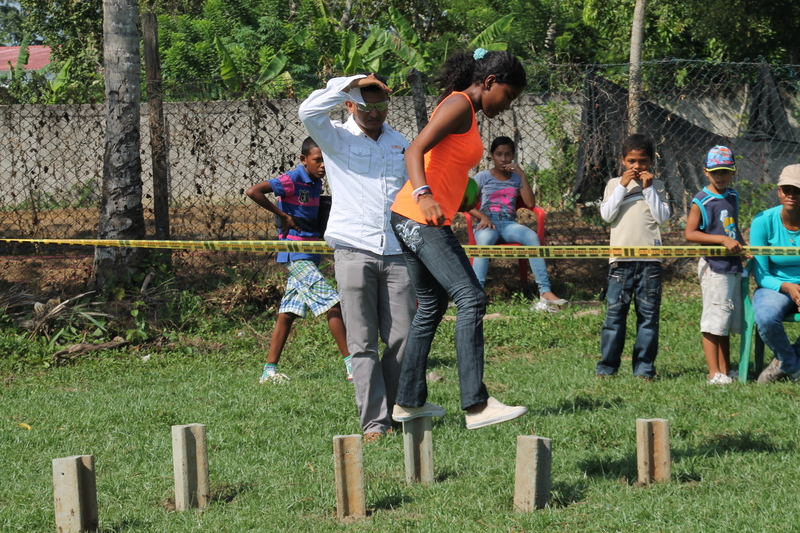 12:00 p.m. – As we moved into the afternoon, we started our first set of challenges. 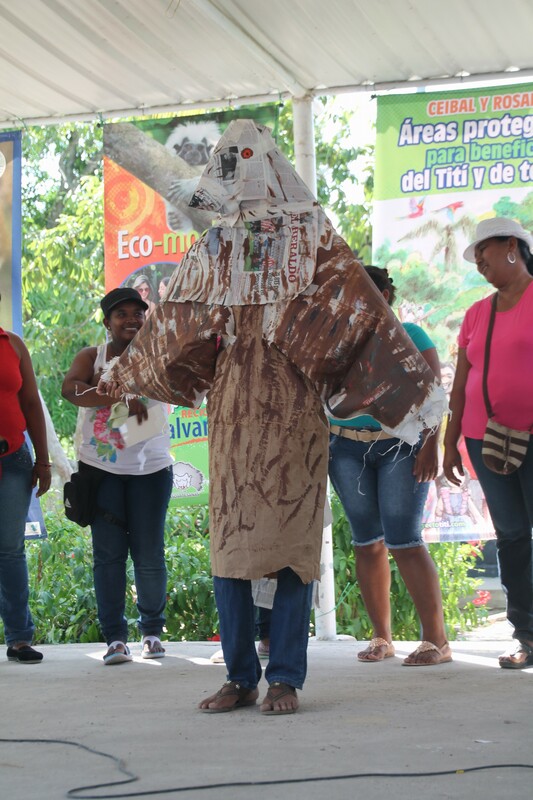 Eco-Mochila and plush-toy artisans were given a 30-minute challenge to recreate the amazing biodiversity in the forests of Ceibal and Rosales. This helped remind us of all the living beings who share a home with cotton-top tamarins. It’s incredible what they created! 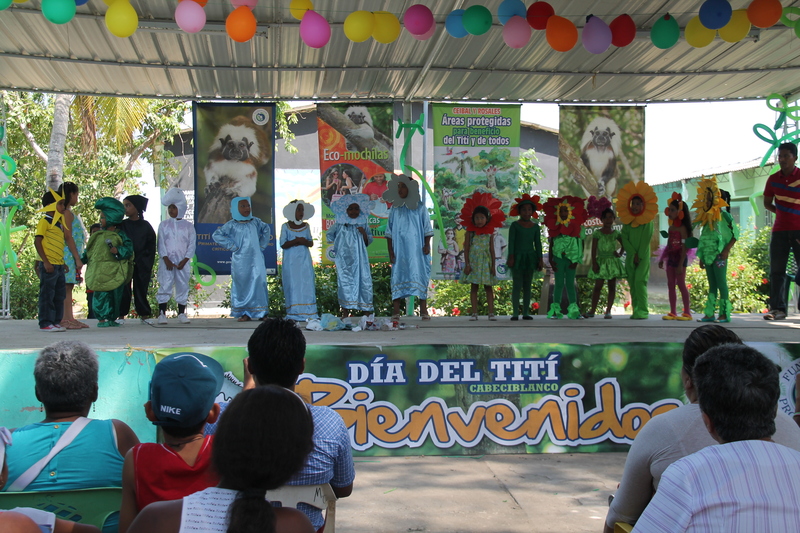 1:00 p.m. – The Titi-Challenge, tested participants on their knowledge of cotton-top tamarin conservation. The winners, Geraldine, Stewart, Heiner and Yorledis, are proud sons and daughters of our Eco-Mochila artisans in Los Límites. 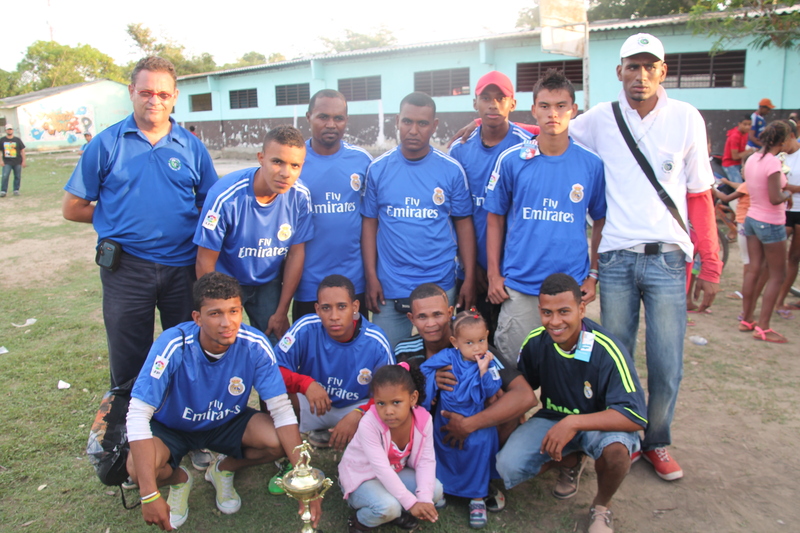 3:00 p.m. – The day came to a close with Titi’s Soccer Cup. 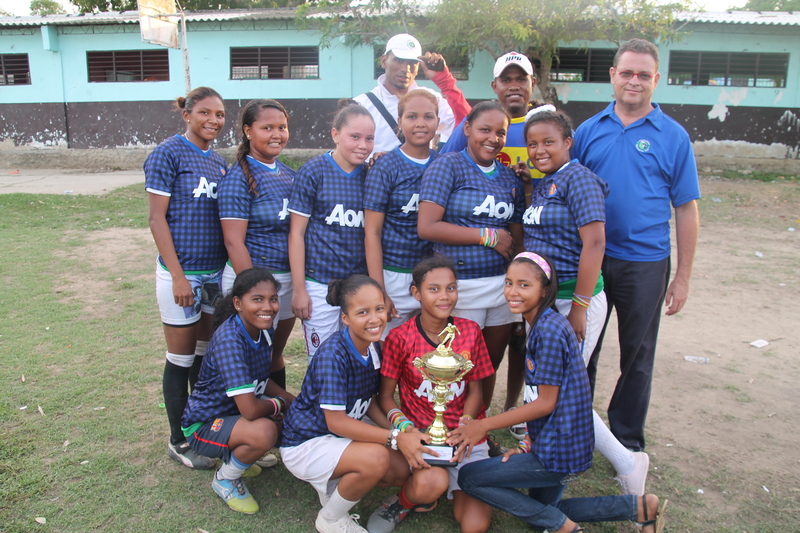 Congratulations to the winners of this year’s Tití Soccer Cup: the men’s team of Pendales and the women’s team of Los Límites! 10 YEARS OF TURNING TRASH INTO TREASURE!